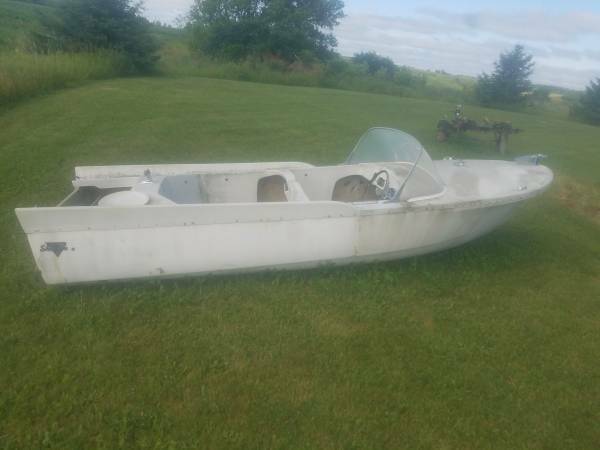 Maybe craigslist for a parts boat? Two weeks ago I found another rocket about 35 miles from me that was sitting by a cornfield for almost 30 years. (avatar) Now it's in the process of a complete restore again. 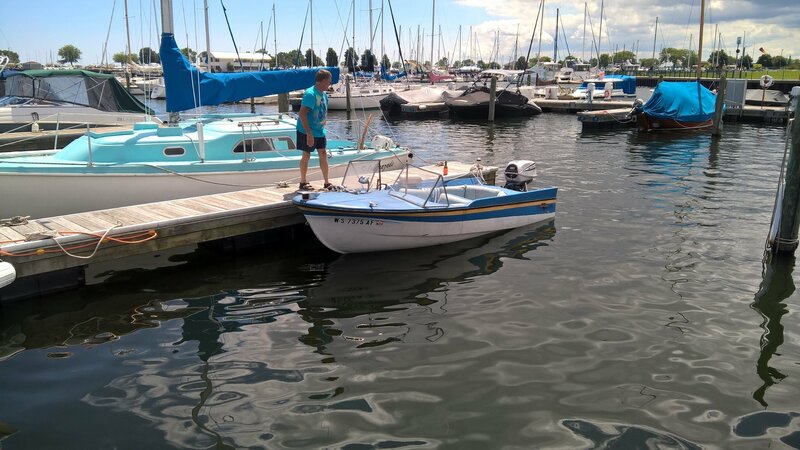 Lucky it was sitting on the ground and didn't develope any crooked hull issues. Last registered in '81. I have the drain fitting you need , but you have to take the boat, FREE located in aitkin mn. I might take you up on that! Here are some pics of the transom. There was some unfinished glass 'slapped' on around the engine clamp to try covering the filler block seam. That peeled right off. The bolts that have been pulled out are necked down due to rust, the wood around the hole is brown and soft. The other pic is the rocket and my '71 Pearson 26 ft sailboat behind me in the background. Did some surfing on transom repairs and found this. Might be easier and quicker than cutting out the inside. I've never done a transom from the outside but it looks do-able.